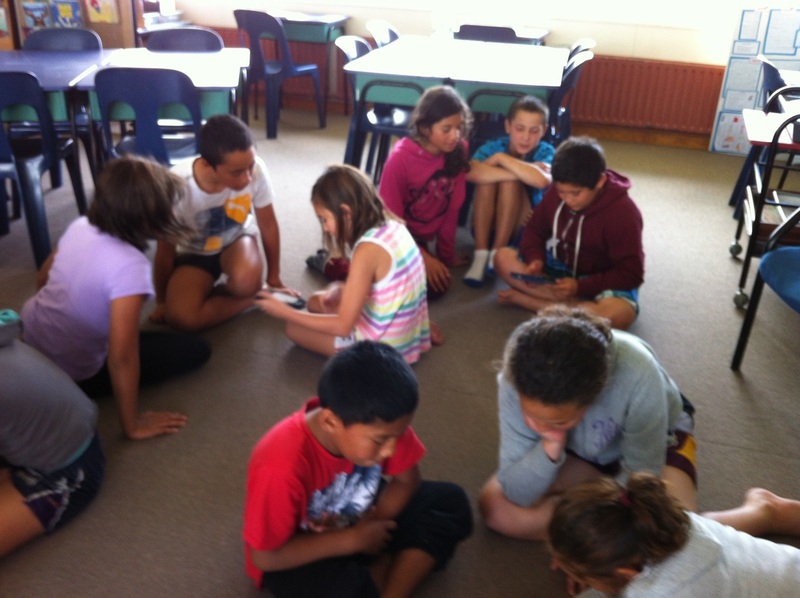 Welcome to the 2013 class webspace for Room 6, a bunch of 9-11 year olds who have enjoyed e-Learning. 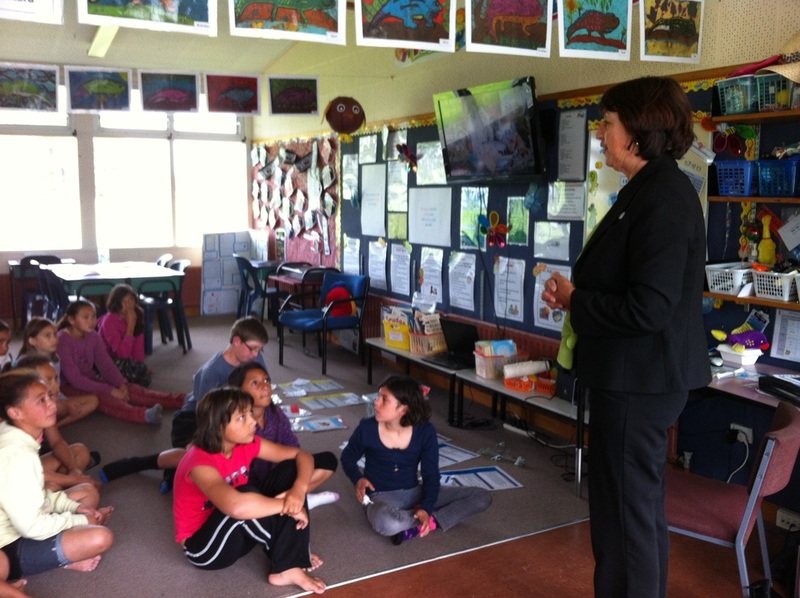 Room 6 is a class at Edgecumbe Primary School in the North Island of New Zealand. This site is NOW a repository web space that will no longer be updated. 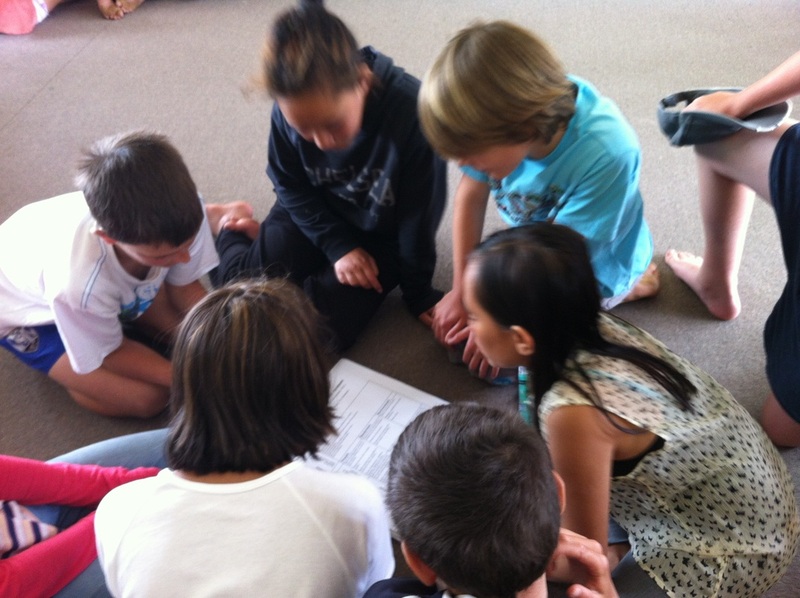 Check out what Room 6 students for 2014 are up to by clicking here. If you would like to leave a constructive message or provide any comments as feedback and/or feed forward about this website, e-mail Whaea Jeanette. Thank you for your support. 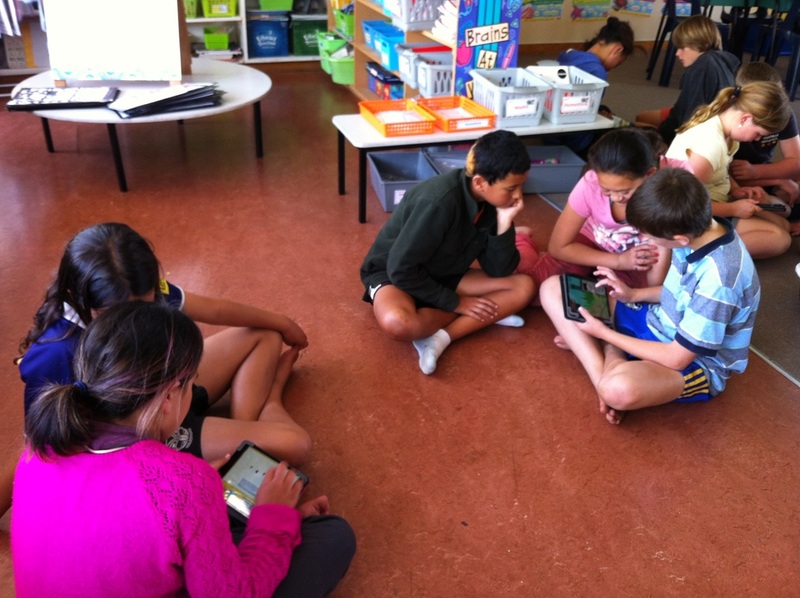 We joined an online project called Quadblogging last term. 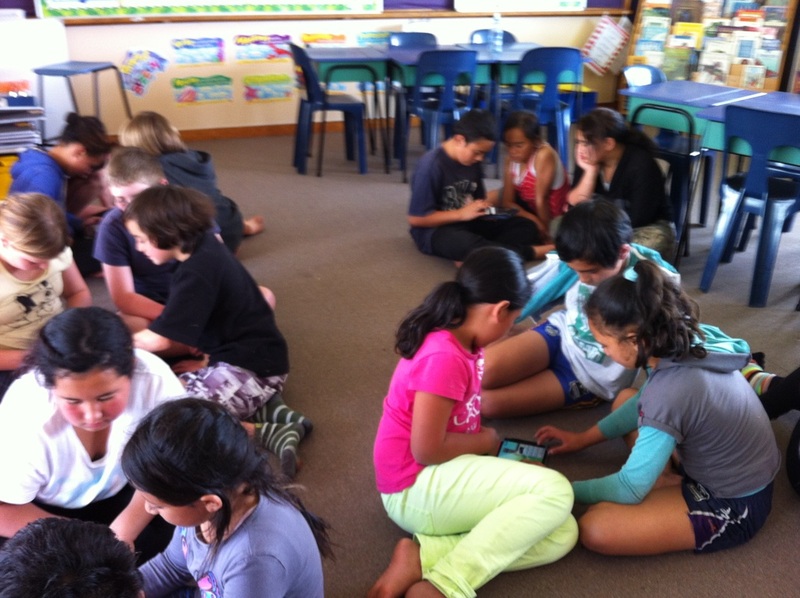 It is an online project where we read and comment on the blogs of three Y4-Y6 classes in New Zealand. 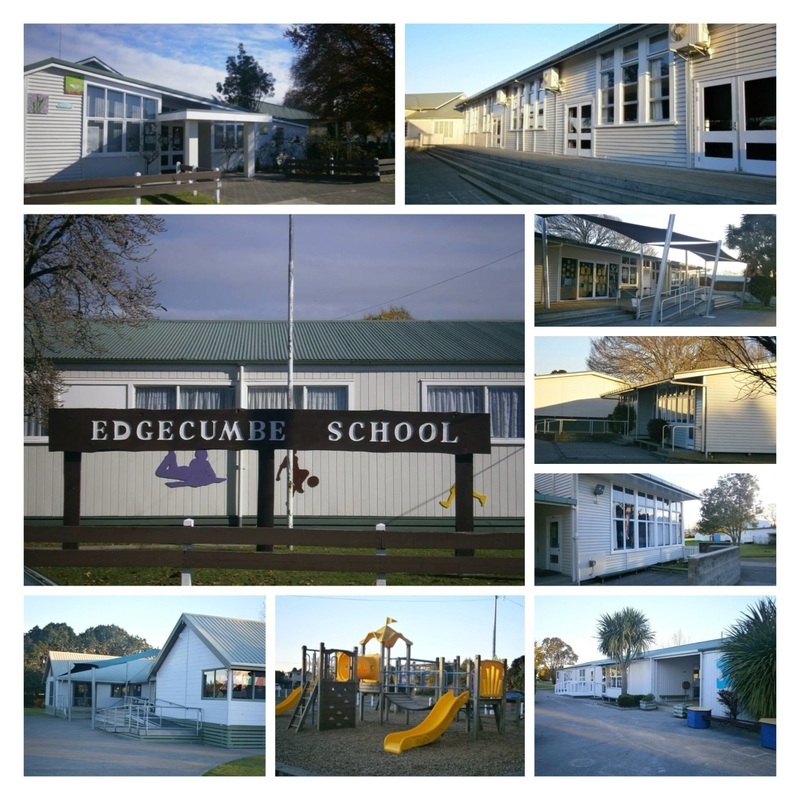 2. http://room6ateps2013.weebly.com - Edgecumbe Primary, that's us! We had such a fantastic time and wanted to stay longer. Many thanks go to our adult team who included Mr Haimona, Iain, Naumai, Scott, Jury, Bill, Gary, Kelly and Blaize. Words cannot express how much your support was truly appreciated. Our Buddy Reading Class this year has been the New Entrant students in Room 11. As our time together will soon come to an end, their wonderful teacher Mrs Johnston along with Niki and Whaea Jeanette organised an outdoor food celebration for us as a Teddy Bear's Picnic. Everyone had to bring along a teddy or soft toy. Thank you Room 11 buddies for the awesome time, fantastic cards and yummy jelly pops. We think you're amazing and hope we can share our love for reading books with you all next year. Mr Haimona spent some time showing us how to pitch a tent. He made it look so easy. Then we worked in groups to give it a go. A group of girls from our class received the school trophy this week as they were caught being great in the playground. Lately they have been playing hand ball outside Room 7. The girls have been demonstrating I CARE for junior students, teachers and their peers. Tino pai kotiro ma - You ROCK! 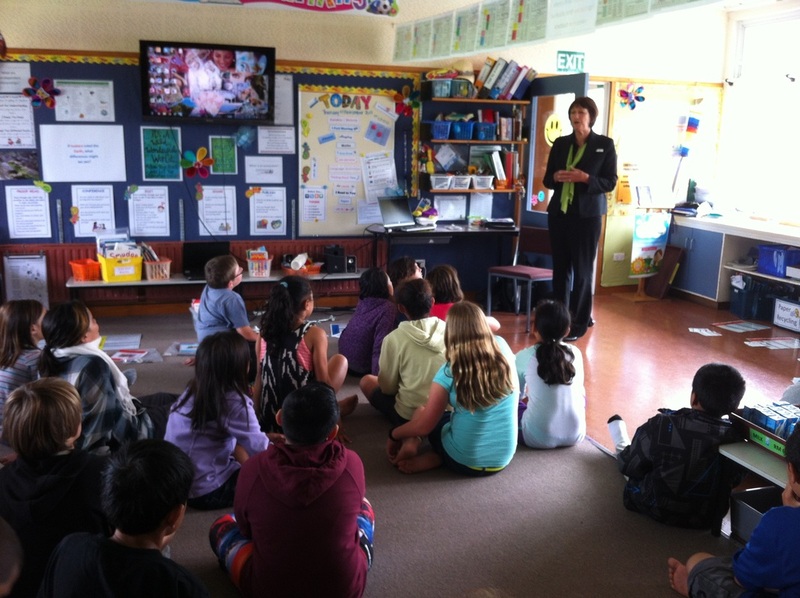 Gail from Credit Union spoke about banking as some of us who are looking at going to Vanuatu next year are keen to set up a bank book. In order to open a savings account she said we would need a deposit and an adult to sign the application form. It is a timely visit since we will soon cover money in Mathematics. 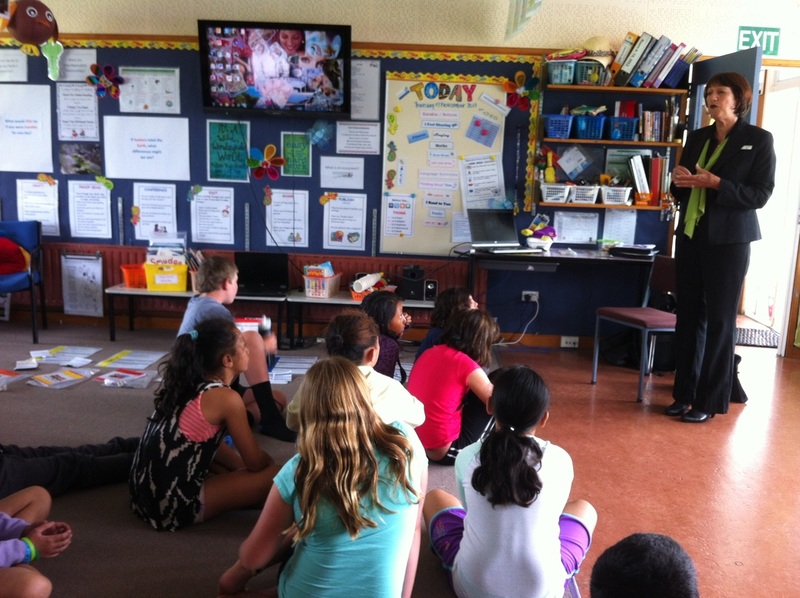 Our school is a drop off point and Whaea Jeanette shared that she has opened two accounts for her mokopuna. We have been learning about poetry. 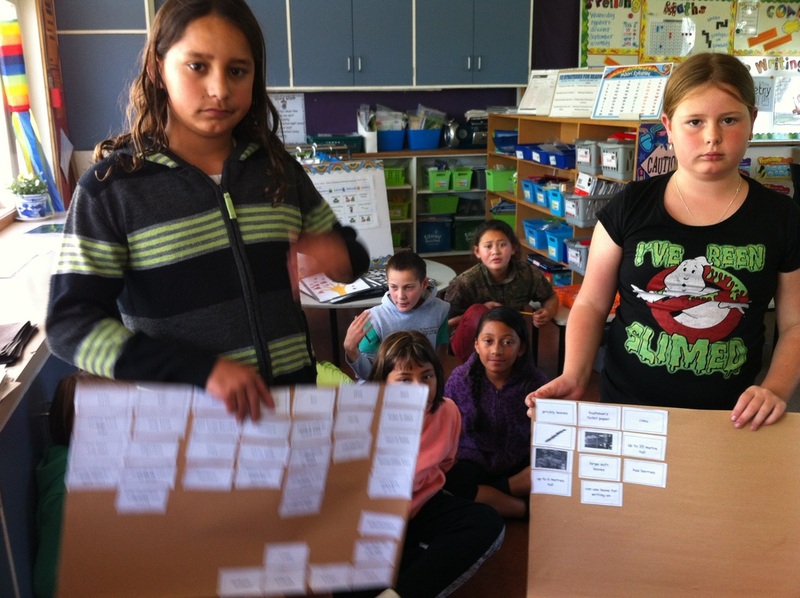 Whaea Jeanette shared the elements of a cinquain poem earlier this week and provided us with planning templates. She also worked with one group to model and complete a shared piece of poetry. A number of poems have since been published and Whaea Jeanette intends that early finishers also record their masterpieces using Voicethread. 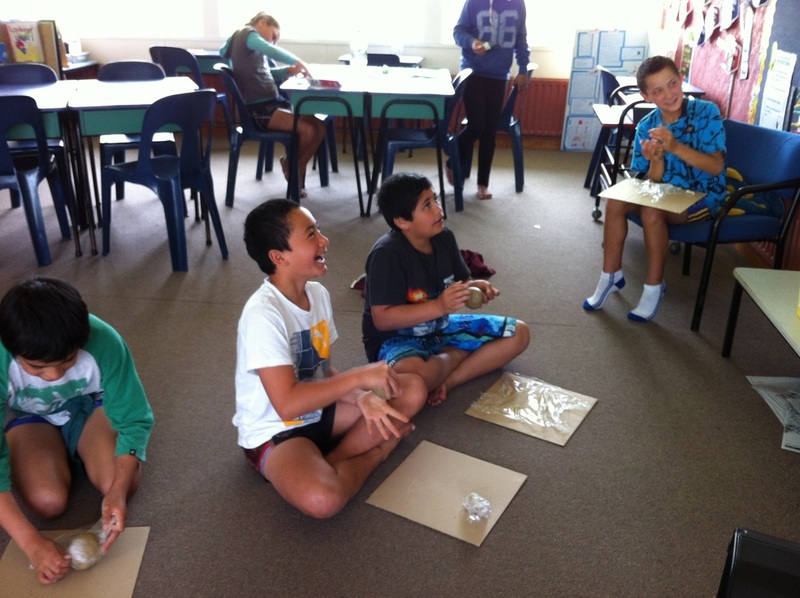 Whaea Jeanette will this week hold a whanau hui to share with our families what will be expected when we go on camp in about three week's time. 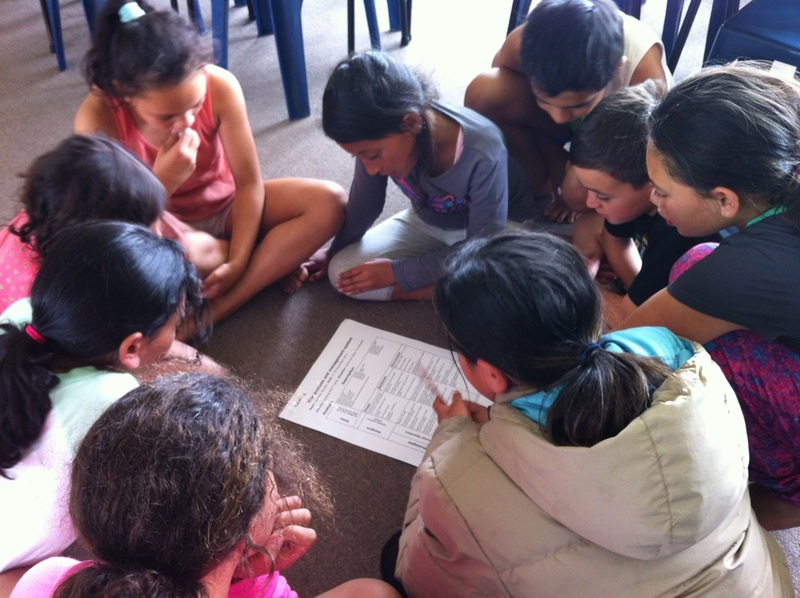 We have spent time in groups discussing some of the risks associated with a picnic lunch in the bush, travelling in vehicles and tramping the DOC track. Last week was our week or 'time to shine' and we received over 30 comments from our quad blogging buddies. Thank you so much all of you. We have five or so later entries to answer this week. It is really awesome to know that what we do in class is being viewed by our peers. Thank you also to you Mr B for your comment and welcome back to EPS. 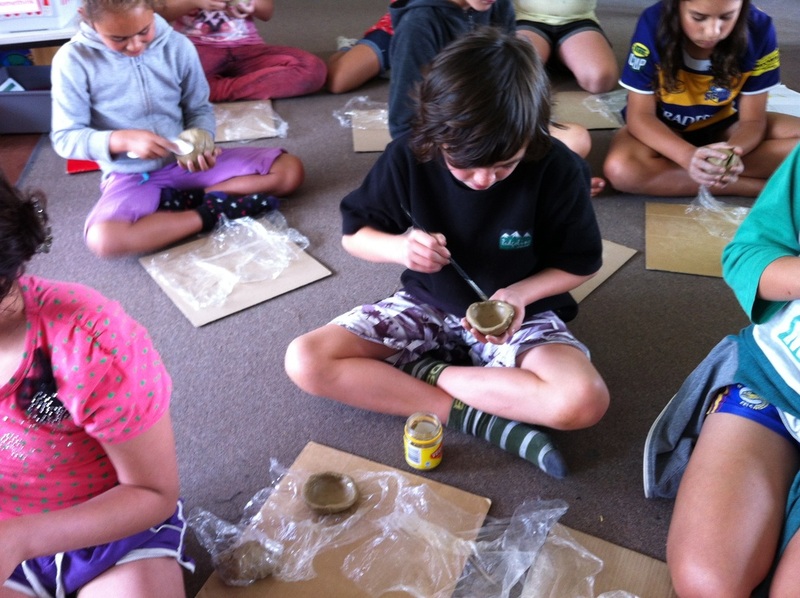 Our second art piece this term involves clay as the medium and making a pinch pot bird. 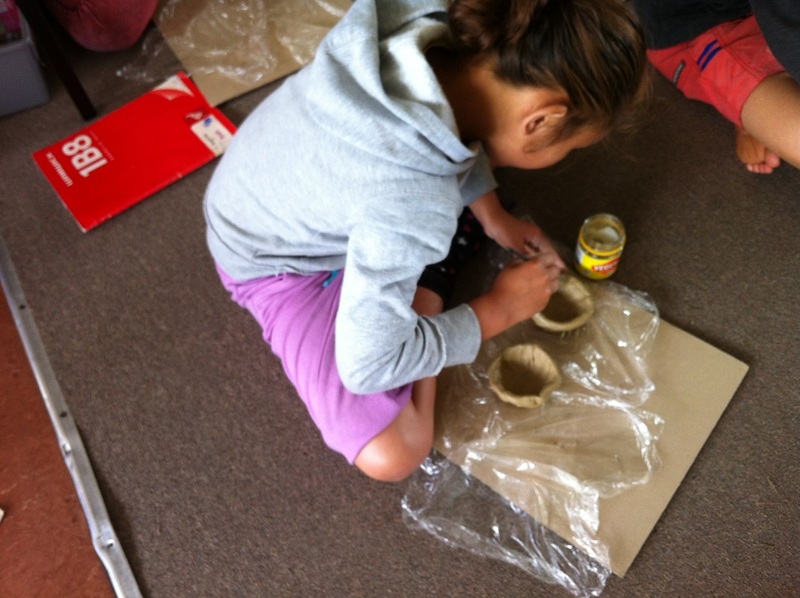 Whaea Jeanette shared a video with us yesterday about making pinch pots and discussed techniques that involve scrapping and slipping. We watched the video a second time today and then followed the process by moulding pieces of clay we were each given into balls. The next step was to halve the balls and work one piece then the other, into the shape of a circular pot. Keeping a thumb or one finger in the pot and moulding the outside really helps to keep it well-shaped. We have covered our pots with cling film and placed them out of direct sunlight. Over the next couple of days we plan to slip the two pots together, mould the base flat then add bird features and make claw feet. While we been on holiday many of the iPad apps and software IOS7.02 require updating. 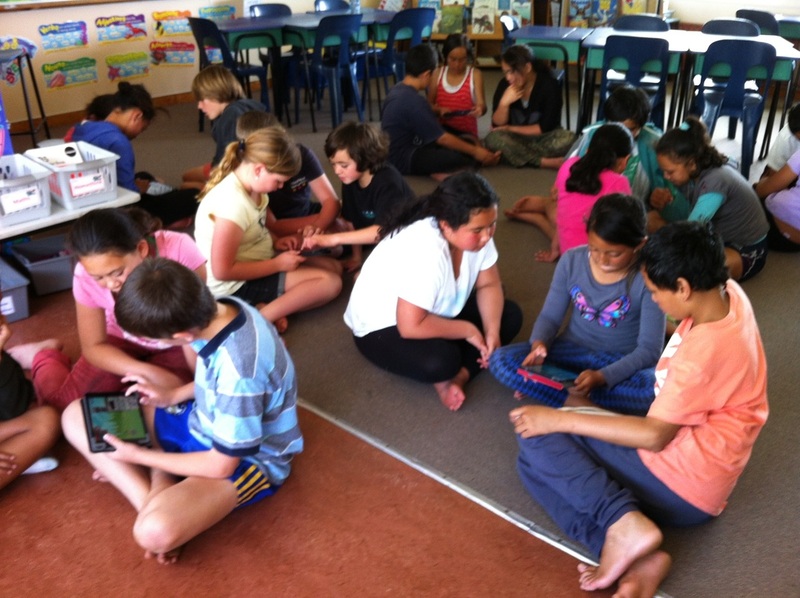 Whaea Jeanette talked about the need to constantly maintain the iPads. This can take some in-class time. We have just heard there is a PM app for online readers as eBooks. 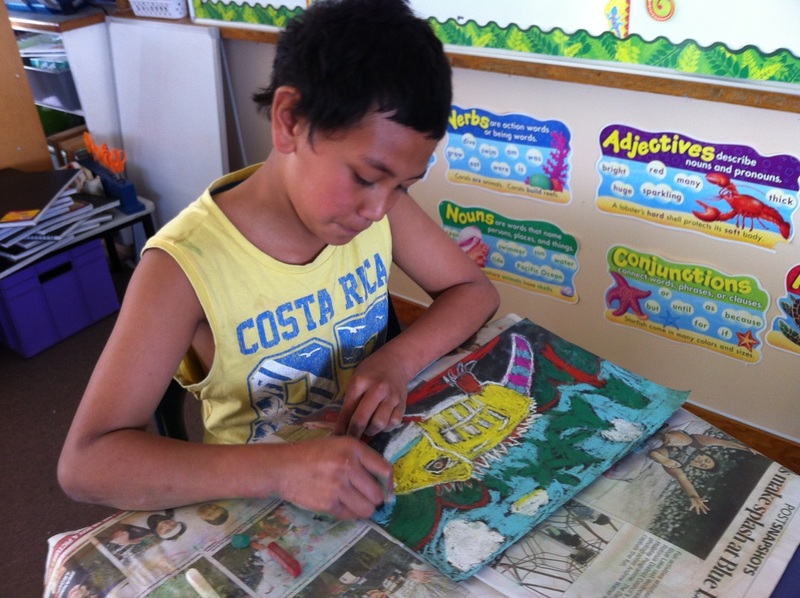 We've completed quite a few art pieces using different mediums this year and Whaea Jeanette had to take two displays down ready for what we create this term. She has plans to make an online art gallery page but in the mean time, some of our art work will feature here. We are learning to use a ruler, compass and protractor to create Aztec Sun Art. We are learning to use our knowledge of Maths and complete Geometric Art. We are learning to use computer wallpaper to make Trees of Hearts. W2: Quad Blogging - Our Time to Shine! We are part of a quad blogging team and have experienced a few connectivity problems in our computer suite. 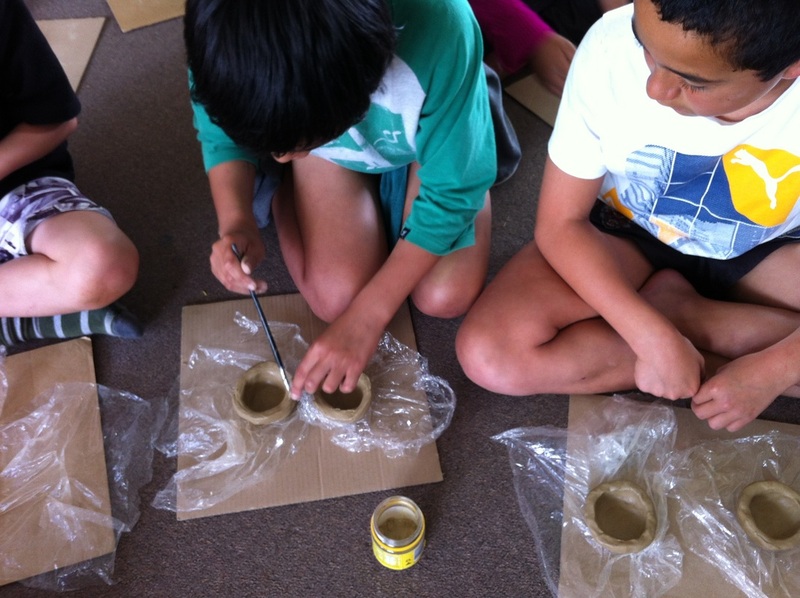 Arohamai - our apologies but we've only managed to post five or so blogs for Vardon School. 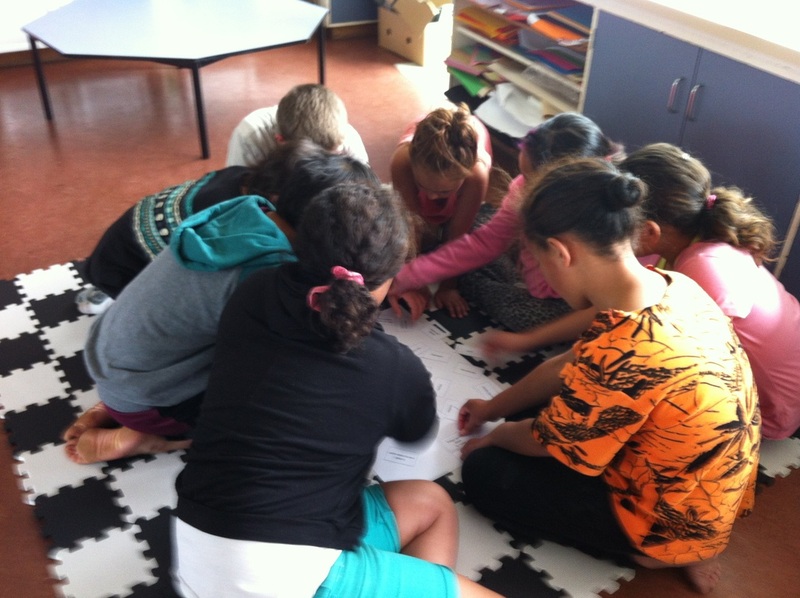 It is our week for students from Vardon School, Hamiton East and Tangowahine to read our blog space and comment. If you are one of our famous quad blogger buddies, WELCOME, WELCOME, WELCOME. We do hope you enjoy your time here and look forward to reading your posting/s on our blog-comments page. 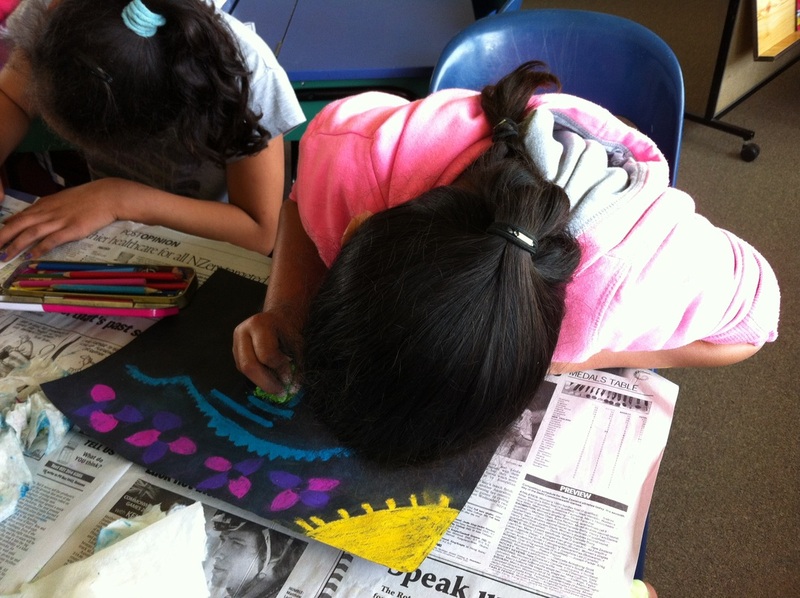 Whaea Jeanette introduced two topics as inspiration for our first piece of art this term being New Zealand butterflies/moths and tuatara. She shared that the medium would be chalk pastel on black heavy duty cartridge paper. 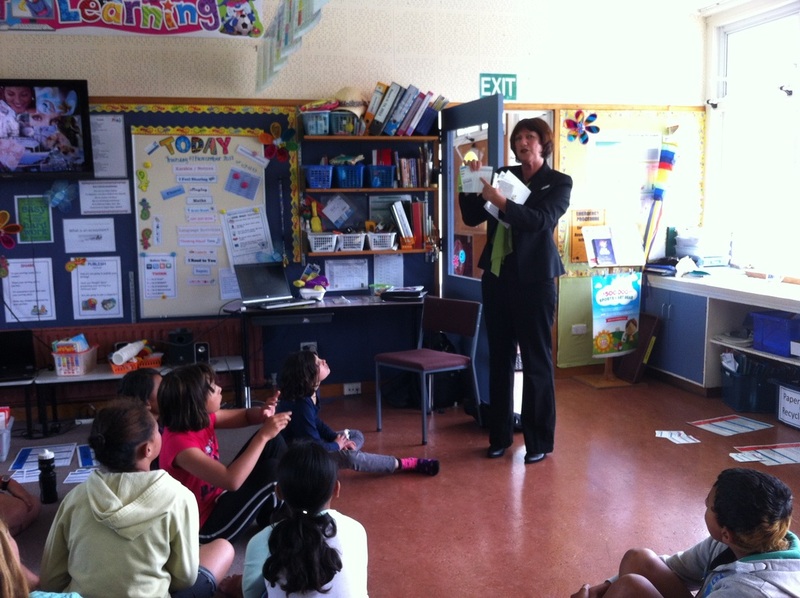 We had a vote and decided that the topic tuatara was more appropriate for our bush inquiry unit. 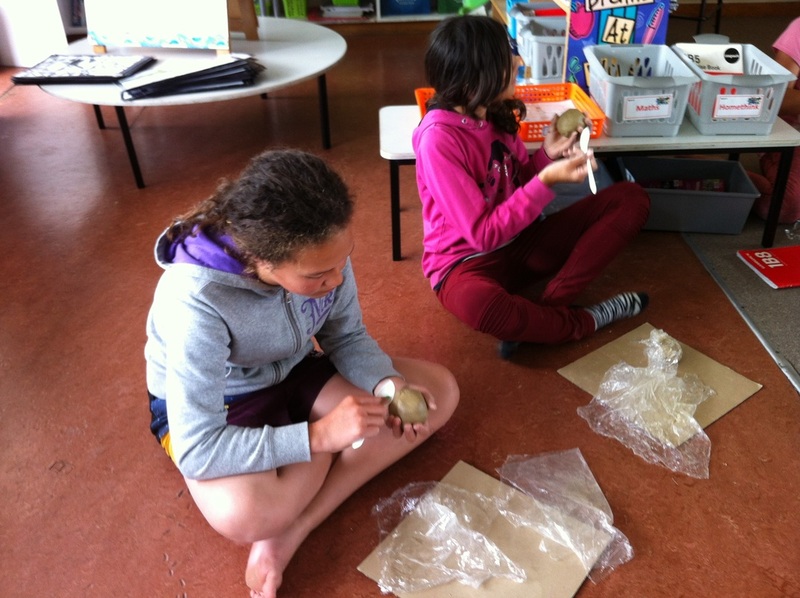 We then some spent time viewing images and discussing the body parts as features of our New Zealand tuatara. Working with chalk pastel can be quite messy. 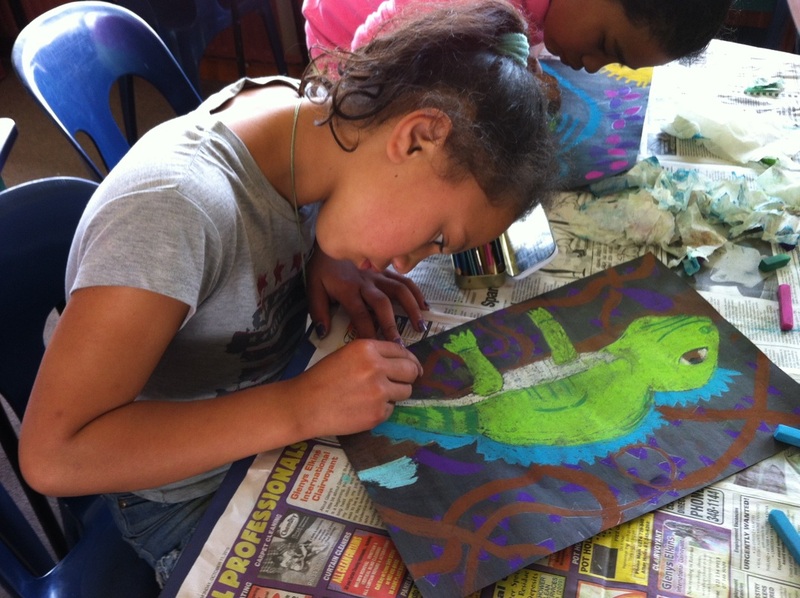 Whaea Jeanette spoke about pencilling the outline of the tuatara first onto black paper, then putting down newsprint and selecting just a few chalk pastels to work with. She also mentioned it was important to keep in mind a background colour pastel that would make the art piece stand out. Wet wipes are handy for picking up any chalk dust. The process requires that the finished chalk pastel piece be glued onto white A3 paper. 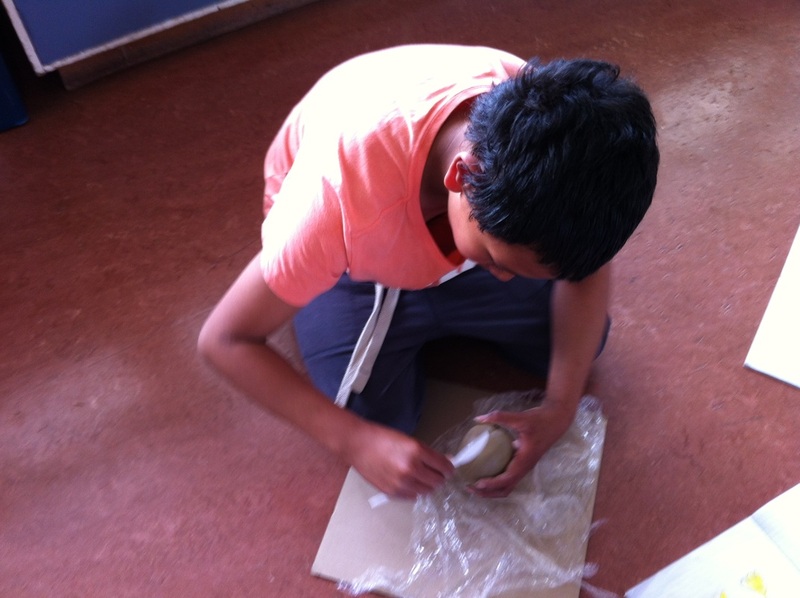 We then complete two worksheets to put on the other side of the art piece. The first being a part-whole relationships organiser that explains parts of the tuatara, the function or reason for one important part and what might happen if that part was missing. The second sheet is a self-assessment rubric based on elements of the chalk pastel work. 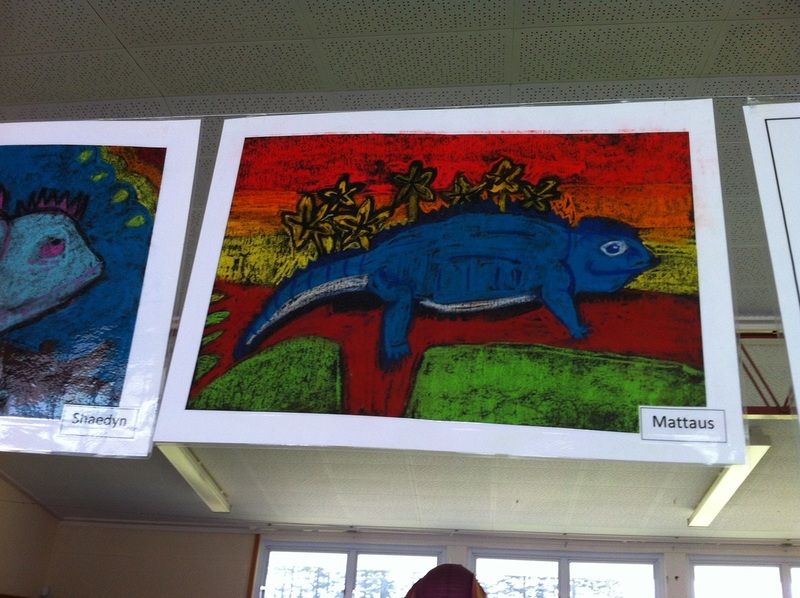 About eighteen art pieces have been laminated and are now displayed in our classroom. 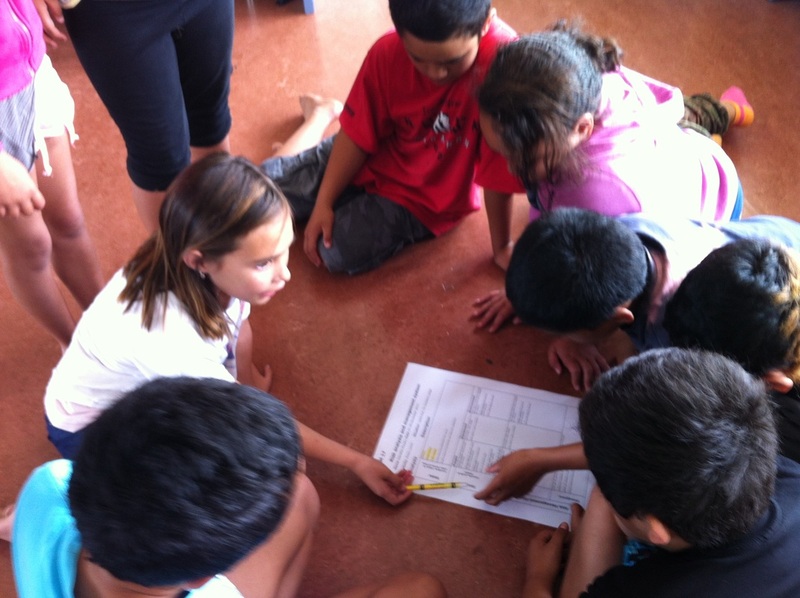 Te Aniwa returned to school after three week's on an overseas holiday with her family. Today she shared stories, items and photos from the many places like Disney World that they were fortunate to visit. What an amazing opportunity! 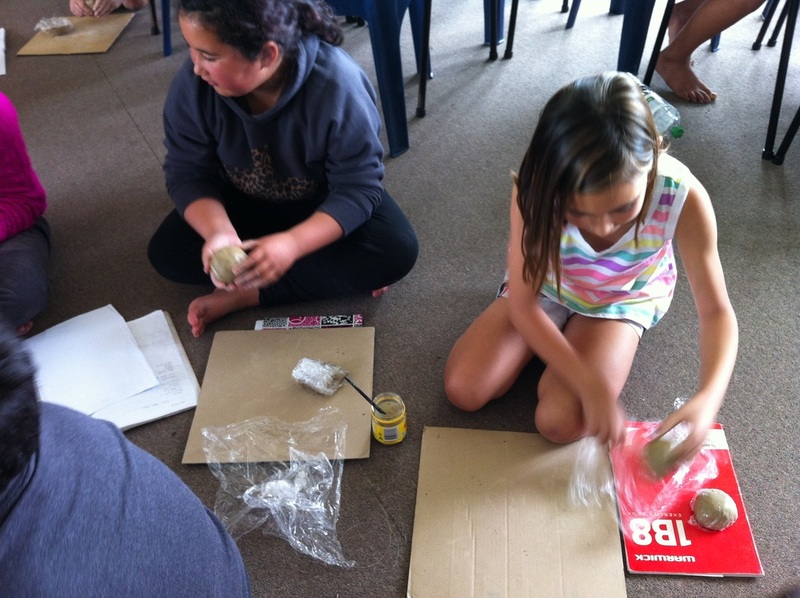 Thank you Tutua whanau for granting us permission to upload some of your awesome photos. This term we started reading a variety of poems as poetry is our next writing genre. Reading aloud is a class activity and four students are either chosen or volunteer to read selected poems. We have discussed that people write poetry to be creative, humorous and as a simple way of expressing themselves. It is interesting to know that there are so many different forms of poetry that include ballads, cinquain, couplets, narratives and odes. Our next intention for the couple of weeks is to learn how to write at least three poetic forms correctly and create our own poems. We were fortunate to enjoy a 45 minute session of archery with Kevin today. He travelled from Tauriki to Edgecumbe and it took him six hours. Thanks to Kevin and help from Mr Haimona, we now know archery requires that the person 'firing' maintain a strong stance, position the arrow correctly on the bow, pull using two fingers against the bow with some strength and fire accordingly. 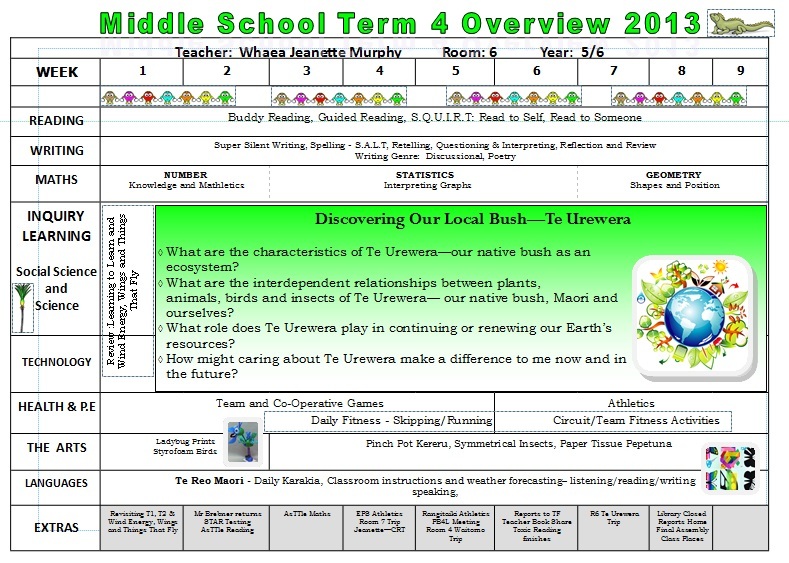 We are back in class and our integrated inquiry for term 4 is based on the bush. Today we divided into three groups and were given a set of 30 cards. 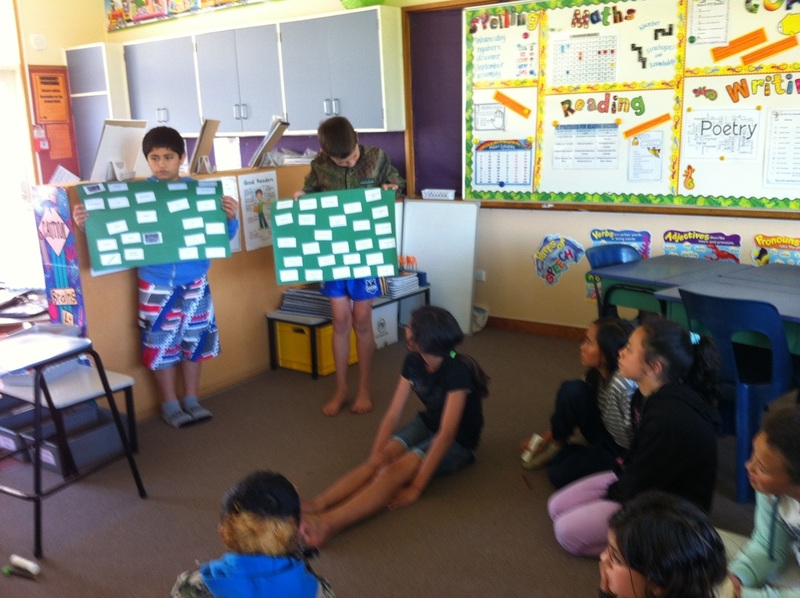 We had to group the cards based on animals, plant, birds and insects of te ngahere - the bush. Whaea Jeanette briefly captured two of the group's discussions. 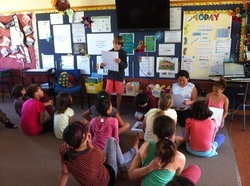 Group A Bush Sort Activity from jeanettem1 on Vimeo. 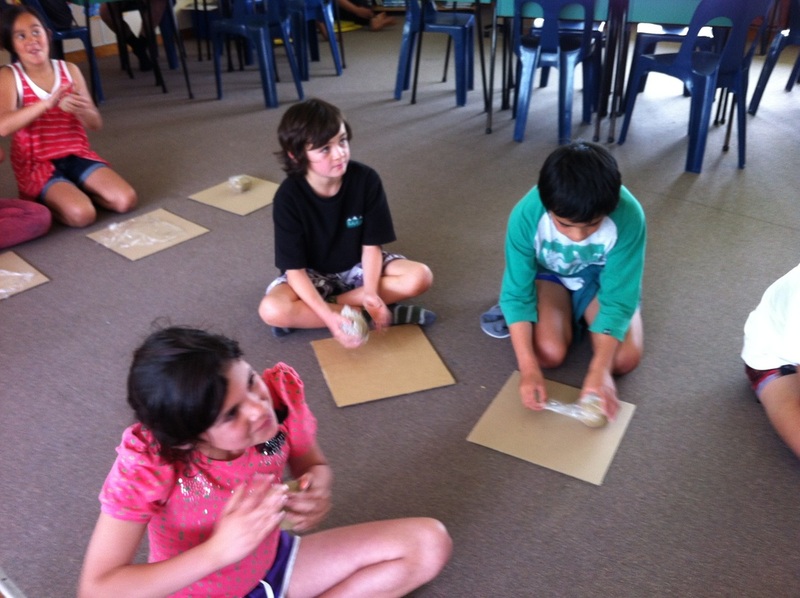 Group B Bush Sort Activity from jeanettem1 on Vimeo.